The Samsung Galaxy Note 9’s Android Pie update brings some positive changes to the flagship device, but it’s also brought problems to some users. 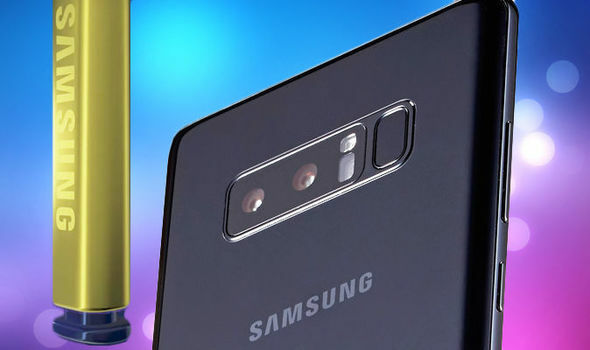 The Galaxy Note 9 Android Pie update went through a short beta where owners of select models helped Samsung find bugs and performance issues ahead of the official release. Samsung’s beta helped squash numerous issues, but problems have unsurprisingly slipped into the final version that’s rolling out in several regions right now. The Samsung Galaxy Note 9 Android Pie update is rolling out in several regions with more updates expected in January, February, and March. As the update is pushing to many users, we expect the list of Android Pie related issues to grow as well. With that in mind, we want to take a look at the early list of Galaxy Note 9 Android Pie problems. We’ll also take you through some ways to avoid Android Pie problems, provide you with some resources that could help you fix performance issues, and give you a look at what you can expect from Samsung and its partners in the months ahead. You can’t predict exactly how Android Pie will impact your device’s performance. And that’s precisely why you’ll want to prepare your device for the move from Android Oreo to Android Pie. If you’re still waiting for your Android Pie update, use this time to wisely. If your update just arrived, spend 30 minutes or so making sure everything is in order before you tap install. We’ve put together a list of tips that will help you prepare for Android Pie. These are the steps we take before we install a new version of Android on our devices. A little prep work will go a long way toward preventing Android Pie problems. The current list of Galaxy Note 9 problems includes some of the most common Android issues, issues that pop up after every single Android release. We’re hearing about abnormal battery drain, lag, lockups, freezes, issues with first and third-party applications, Bixby problems, connectivity (Wi-Fi, Bluetooth, GPS,) problems, data issues, installation problems, and voice quality problems. The good news is that we haven’t heard about any widespread issues impacting the majority of Galaxy Note 9 users. The rollout is still young, but that’s a great sign moving forward. If you’re still waiting for Android Pie make sure you keep an eye on feedback from Galaxy Note 9 users running Android Pie and the One UI. This feedback will keep you informed about the issues plaguing your version of Android Pie update. We’ve put together a guide that will take you through the reasons to, and not to, install the Android Pie update right away. It’s a great starting point for who want feedback. You should also keep an eye on XDA-Developers and Android Central Forums for feedback about the update and its various issues. Also certain users post the problem they encounter on Note 9 pages on Facebook. Some problems will require a fix from Samsung or your carriers, others should be able to fix on your own in minutes. If you run into an issue while running Android Pie, take a look at our list of fixes for the most common Galaxy Note 9 problems. It’ll guide you through issues with Wi-Fi, Bluetooth, and more. Our guide to fixing Galaxy Note 9 battery life issues will help you fix battery drain problems if you start noticing issues after the Android Pie update. If you don’t find what you’re looking for in our guides, make sure you check out the XDA-Developers Galaxy Note 9 forums. Samsung will inevitably roll out bug fixes for Android Pie problems but it could take weeks as the company’s still focused on getting the operating system out to Galaxy Note 9 users worldwide. Samsung will continue to push out monthly security patches to the Galaxy Note 9 and there’s a very good chance the company includes bug fixes for issues inside those updates. If your carrier provides an Android update schedule, keep an eye on it for updates as we push into 2019. We will also update this post once a fix is ready for download.